12.5" RCOS @ ~f/9 (2880 mm fl) 0.64 arcsec / pixel. The Zoomify image scale is 1.28 to 3.32 arcsec / pixel. CCDSoft, CCDStack, Photoshop CS w/ the Fits Liberator plugin, Noel Carboni's actions. CCDStack to calibrate, register, normalize, data reject, combine the sub exposures and LRGB color. 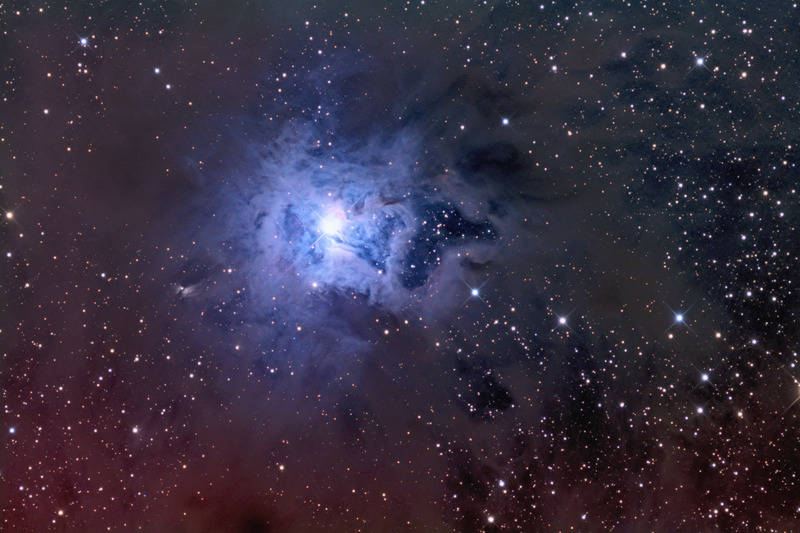 The Iris Nebula is a bright reflection nebula in the constellation Cepheus, at a distance of about 1,300 light-years. The nebula, LBN 487, surrounds the star cluster NGC 7023. LBN 487 is primarily illuminated by SAO 19158, a hot bluish magnitude 7 star. 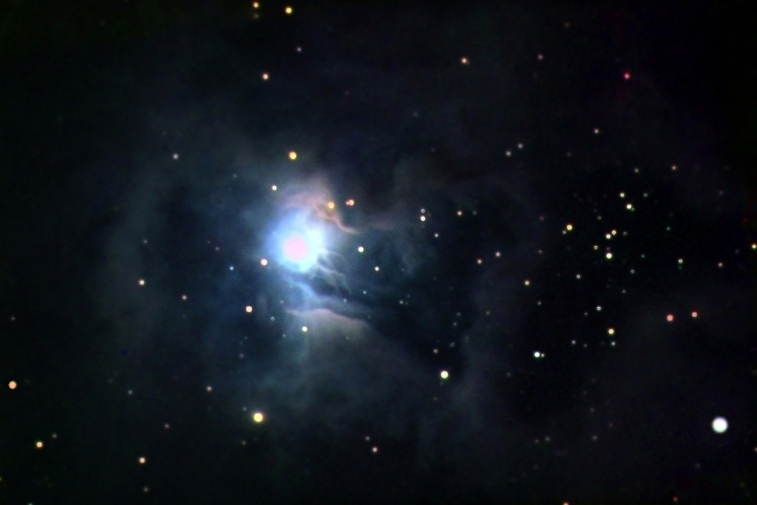 The characteristic blue color, of the Iris, is a result of blue light being more efficiently scattered by the dust.